You probably took a few years of a foreign language in high school and college, but did you stick with it after graduation? Learning a foreign language isn’t just something you should do in order to be culturally educated – it can also directly impact your future earning potential. What’s the point of learning another language? When you really dig down and attempt to understand the value of learning a second language, it’s clear that everyone has unique motives. Some people want to learn a new language simply to challenge themselves. Others are interested in traveling and want to be able to communicate. Some people end up dating someone with a different nationality and want the ability to speak with them in their native language. The reasons for learning a foreign language are many. But did you know there might also be financial reasons for learning a second language? Yes, doing so can pay off in dollars and cents. There are obviously many different factors in play when it comes to how profitable learning a second language can be. For example, the language you’re learning, how proficient you are, and the industry in which you work all play a role. According to one detailed analysis, speaking multiple languages increases a person’s average salary by two percent annually. And while that may not seem like a lot, the return on investment over many years is much higher. The payoff is even higher, however, if you’re a foreign professional who is learning English as a second language. Not only are foreign students required to take The Test of English as a Foreign Language (TOEFL) before being admitted into American universities, but being able to speak fluent English allows individuals to return to their homeland and command higher salaries from companies that do international business. Not every language is created equal. English is obviously the highest returning foreign language, but what other languages are worth learning (from a financial perspective)? Somewhat surprisingly, German is one of the best. Germany is one of the three major European countries and is economically important in the context of the global marketplace. Being able to speak both English and German will allow you to enjoy opportunities that otherwise wouldn’t have been available to you. French is another good choice. There are more than 200 million people on five different continents who speak the language. “Knowing how to speak French opens the doors to French companies in not only France, but other French-speaking parts of the world such as Canada, Switzerland, Belgium, and North and sub-Saharan Africa,” says entrepreneur Sean Kim. Other sound choices include Spanish, Mandarin, and Arabic. While there are many reasons to learn a foreign language, don’t forget about the financial rewards. There are wonderful career benefits to adding a second tongue and you should look into the possibility sooner rather than later. 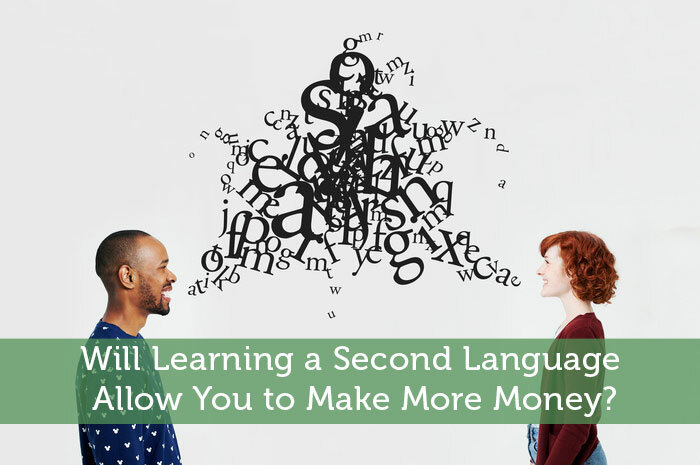 Will Learning a Second Language Allow You to Make More Money?